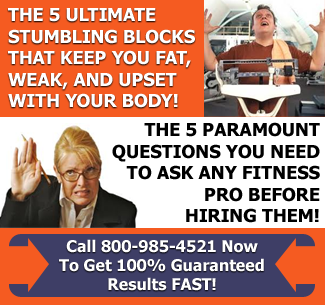 Personal trainers in San Rafael know that you’ve seen dozens of commercials on televisions or in magazines for diet pills or exercise equipment that promise to help you lose fat in your thighs, hips, and even the part of the body that plagues millions of women, the belly…heck, we’ve seen them too! But before you pick up the phone and order, you may well want to reconsider. Personal trainers in San Rafael have shown time and time again that spot reduction is nothing more than a myth. In this article, we’ll learn what spot reduction promises to do for you, why it doesn’t work, and how personal trainers in San Rafael can help you fight fat in all areas of your body. Health and fitness expert, John Spongberg formed Personal Training In Marin to offer exceptional and unique personal training services to all who desire a better life with improved health, ease of movement, energy and endurance. Personal Training In Marin offers an alternative to crowded, sweaty health clubs and uncomfortable spaces where perfect bodies are flaunted. You have many choices: in home, fitness studio, outside in the fresh air, motivational online or phone coaching, boot camps that are fun and affordable… what works for YOU? If you are interested in learning more about our services, contact us for a Free Consultation! Unfortunately, doing nothing but stomach crunches won’t reduce the amount of fat located in your stomach area, although it will certainly make your abdominal muscles stronger. This doesn’t mean, however, that the fat there will magically turn into muscle. Spot reduction doesn’t work because every person has a genetic selective pattern in which they lose weight, which is why some women may experience notable weight loss in their face first while others may experience notable weight loss in their arms or other areas of the body. The only way to work towards losing the fat in a particular area is to exercise all parts of the body with a balanced fitness routine comprising of cardio, strength training and stretching. Because each of us are different, there is no way to predict where the fat we’ve gained will be eliminated first, as only our genetic selective patterns can control it. Cardio can help fight fat by raising the heart rate and the metabolism, which controls how quickly calories are burned. In addition, strength training can also help raise the metabolism, as well as builds strong muscles, and the more muscles you have, the more calories will be burned. Stretching complements these disciplines by keeping the muscles relaxed and protects the joints. Personal trainers in San Rafael know that combining a balanced exercise routine with a healthy diet is the best way to fight off fat in any area of the body and will certainly help prevent the fat from coming back. 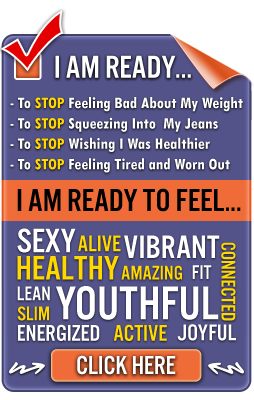 Contact personal trainers in San Rafael to start your one-on-one fat fighting program today!